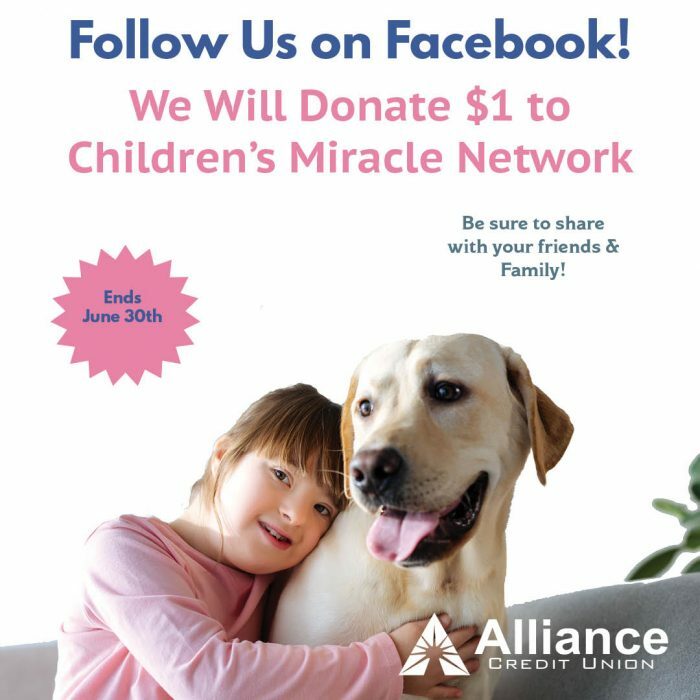 Alliance is a proud supporter of Children’s Miracle Network and wants to raise even more money for them this summer. To do so, Alliance will donate $1 for every new Facebook follower we receive up to $5,000. This means that we will be asking you to spread the word to your family and friends on Facebook. Children’s Miracle Network Hospitals of Greater St. Louis is a non-profit organization dedicated to raising funds and awareness for St. Louis Children’s Hospital and SSM Health Cardinal Glennon Children’s Hospital. CMN Hospitals provide the finest medical care, life-saving research, and preventative education to help millions of kids overcome diseases and injuries of every kind. For more information, visit https://www.cmn-stl.org/. Be sure to follow us and share this campaign with your peers. Please check our Facebook page for progress updates! Fundraiser ends June 30th.